Found what appears to be a hybrid of G. rivale and either G. allepicum (G. ×aurantiacum) or G. urbanum (G. ×intermedium). 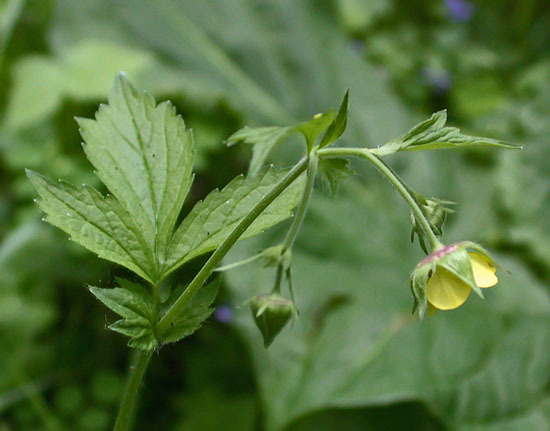 The flowers were nodding and the petals erect and yellow when I first found the plant. Sepals suffused with purple but only at the base. Two days later sepals more purple and petals looking more orange. At this point past anthesis and sepals still spreading and petals still somewhat erect. Flowers still somewhat nodding. May need to wait until fruit matures to get a definitive ID. Though I’ve considered revisiting the site to see what species grow nearby, it is quite possible that G. allepicum and G. urbanum both occur at the site. 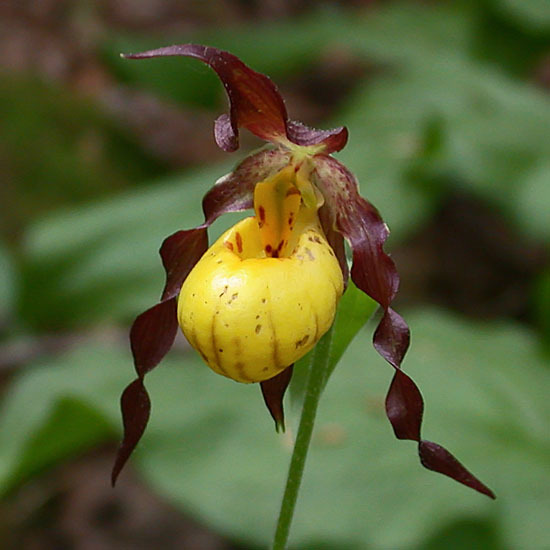 The hybrid G. ×intermedium is fairly well documented in Europe but apparently has not been collected in North America, while G. ×aurantiacum has only been collected at one site in NY (Adirondacks, locality unknown) and a few places in Canada. 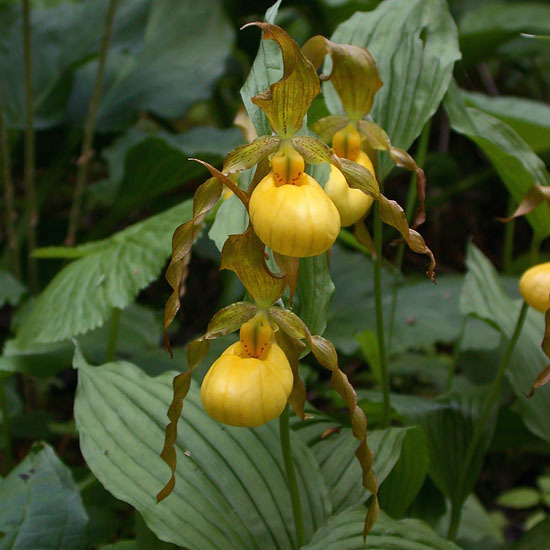 Late May is the best time to see yellow lady’s slippers in central NY. The large yellow (Cyperipedium parviflorum var. pubescens) is the most common and has a lip about the size of an egg. 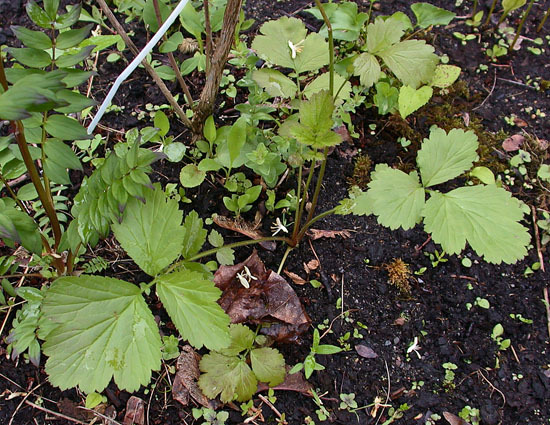 Less common and considerably smaller is C. parviflorum var. makasin. 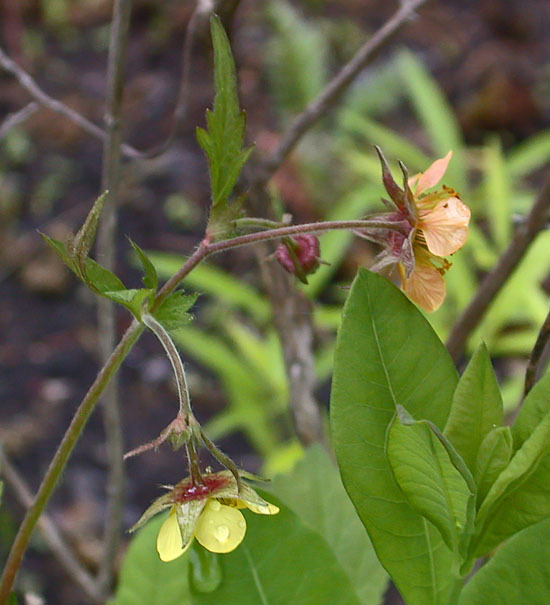 This one has flowers not much bigger than a quarter and darker maroon lateral sepals. 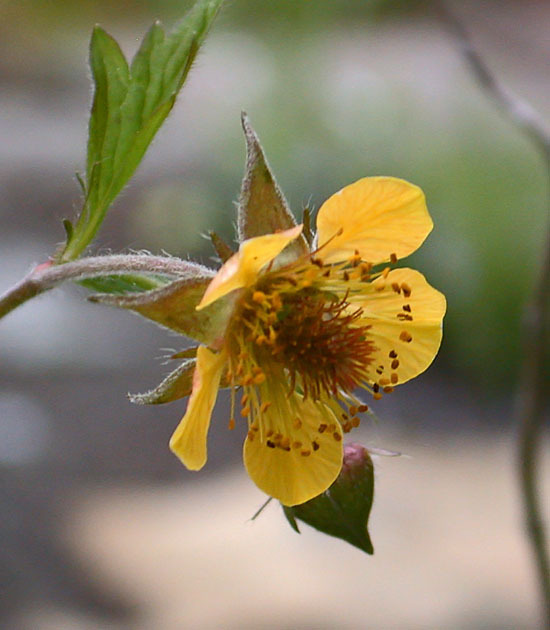 It is said to be less tolerant of dry areas and is also fragrant.